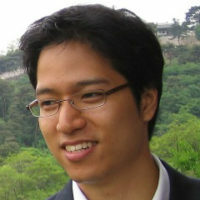 Henry Ko is a member of the Commonwealth’s Prosthesis List Advisory Committee, and has been a consumer advocate for a decade. His consumer advocacy journey has been influenced by many inspirational past and current mentors and colleagues in Australian consumer advocacy in the pharmaceutical and medical devices areas including: Sheila Rimmer, Coral Rizzalli, Patricia Greenway, Ian Roos, Amy Zelmer, Isabelita McRae, Janney Wale, Jo Watson, Anne McKenzie, Debra Kay, Eileen Jerga, Jan Donovan, John Stubbs, Rebecca James, the various PLAC sub-committees’ consumer representatives, and of course past and present CHF staff. With the ongoing investigations here and overseas into the problems with polypropylene pelvic mesh devices, and problems with some types of breast implants, its urgent that all stakeholders work with consumers for more accountability and transparency. One way that this could occur is to increase the utilization of device registries. The most well-known example in Australia is the Australian Orthopaedic Association’s National Joint Replacement Registry which has been detecting good and bad performing hip and knee implants for decades. In this year’s Therapeutic Goods Administration’s consultation paper on medical device regulation consumers advocated for an increase in the use of device registries as a way to improve consumer safety and industry accountability. If we as the public can’t get governments and industry to properly provide clinical trials research evidence for their devices’ safety, effectiveness, and cost-effectiveness prior to registration and reimbursement (i.e. “front-loading” their evidence requirements), then we should demand that there should be “post-market-loading” of evidence via rigorous post-market surveillance and medical device registries to enable regulators to detect as soon as possible serious safety issues. Industry should ideally have both rigorous clinical research evidence and post-market registries. Relying on current clinical trial research evidence can be a gamble (see the dubious history of pelvic mesh device clinical trials), and relying only on post-market adverse event reporting and/or device registries is something that puts the burden of (adverse) health cost/consequences onto consumers. Unfortunately, when neither elements are properly regulated, enforced, and/or evaluated you get something like the pelvic mesh tragedy. The recently announced TGA actions to: (1) increase the evidence requirements of surgical mesh devices to that of a Class 3 medical device, (2) improve the product information given to consumers, and (3) have patient implant cards, are sensible actions to improve accountability in this device type, but it may be too little too late to patients affected by the devices. We need to now ask what other devices out in the market have “flown under the radar”, in terms of proper clinical evidence, providing adequate consumer information, and having adequate product tracking and accountability? Since the 2009 review of Health Technology Assessment where CHF advocated for more communication to consumers about medical devices, the medical device industry remained more poorly understood than the pharmaceutical industry and the healthcare professionals/services sector. However I believe since the 2015 Review of Medicines and Medical Devices Regulation, the ongoing medical devices listing reform agenda, and the outrage about costs reported in media outlets regarding the medical devices and private health insurance, this had started to change. Consumer outrage and media scrutiny has shone a light on the medical devices industry. I believe scrutiny can only increase the knowledge consumers have about the medical devices industry, and I do hope the momentum continues. According to the TGA medical devices span a wide range of healthcare technologies, from simple bandages for cuts and scratches to complex machines implanted into your body such as pacemakers, or diagnostic equipment such as x-ray machines. In the medical devices ecosystem in Australia, the TGA, Medical Services Advisory Committee (MSAC) and Prostheses List Advisory Committee (PLAC) play important roles in regulating and subsidising access for consumers to medical technologies. The TGA is responsible for regulating the Australian market so that technologies being used by consumers and healthcare professionals are safe. This includes adverse event notifications, and may include proactive post-market surveillance. MSAC is the Commonwealth committee responsible for health technology assessments of medical services, device use, consultations, or allied services on the Medical Benefits Schedule, and therefore how these things are reimbursed/subsidised. PLAC is responsible for the health technology assessment of prostheses used in Australia, mainly in the private healthcare sector, and generally defines prostheses as items that are implanted or used inside the body. The past year has seen big moves to improve consumer engagement in the regulation of the medical devices industry. In response to the 2015 Review of Medicines and Medical Devices Regulation, there is a long-overdue reforming of PLAC and the way it applies HTA. The HTA Consumer Consultative Committee is working with all 3 government HTA committee (i.e. PBAC, MSAC, and PLAC) and consumer organisations to improve consumer engagement in the HTA process. One sign amongst many examples that consumers are being engaged early in medical device regulation was the August workshop on how Australia should regulate 3D printed medical devices. I was invited in August along with other consumer advocates, researchers, industry, clinicians, and regulators to discuss how 3D printed medical devices should be regulated in Australia. Internet-connected healthcare services (e.g. telehealth), including devices, are a concern for younger generations of consumers. According to a 2015 PriceWaterhouseCoopers HRI Consumer Survey report, 72 per cent of people aged 18 to 44 are willing to use telehealth services, compared to only 43 per cent of people aged 45 and over. Adoption of mobile health apps doubled in the two years between 2013 to 2015, and no doubt with the increasing ubiquity of smart watches and lifestyle and exercise monitoring devices and apps, this trend should continue. Hacked, or compromised, medical devices that have internet-connected abilities could mean lost consumer adoption. However, device manufacturers and regulators need to place more emphasis on cybersecurity of these types of devices. Hacked, or compromised, medical devices that have internet-connected abilities could mean lost consumer adoption. In the 2015 PwC HRI Consumer Survey it was reported that 50 per cent of consumers would think twice about using any connected device that had been hacked; 38 per cent of consumers would be wary of using a hospital that used a hacked device. Surprisingly, I have not seen much emphasis by regulators, HTA groups, or manufacturers in managing cybersecurity. The USA FDA seems to be taking the lead on cybersecurity of medical devices. In 2016 it helped workshop and produce guidance about this issue (“Moving forward: Collaborative approaches to medical device cybersecurity”, 20-21 January, 2016). This work had involved the FDA Center for Devices and Radiological Health, National Health Information Sharing Analysis Center, Department of Health and Human Services, and the Department of Homeland Security (!). More information can be found at http://www.fda.gov/MedicalDevices/DigitalHealth/ucm373213.htm. In my time on various consumer advocacy roles in the pharmaceutical and medical device industries, there are promising signs that the medical device sector is opening up to increasing consumer engagement, increasing transparency, and improving accountability to be on par with their pharmaceutical industry counterparts. I hope with the increasing coordination and partnership between consumers and regulators, government, and industry that Australia can achieve a more consumer-centric medical technology ecosystem. I look forward to serving Australian consumers on improving how PLAC utilized consumer input, as well as the initiatives by the new HTA CCC to improve consumer engagement in all of Australia’s HTA processes. Therapeutic Goods Administration. “What is a medical device?”. URL: https://www.tga.gov.au/what-medical-device. Accessed: 25/9/2017. Australian Government Department of Health. “Health technology assessment”. URL: http://www.health.gov.au/hta. Accessed: 25/9/2017.